I love to lay aside my regular reads time to time and grab a whisk(e)y book from the shelf accompanying a dram when I sit down at home alone. That's how I started to leaf through Drinking Japan on a Saturday afternoon and I simply couldn't put it down. I have to admit that I enjoy books about whisk(e)y and spirits more than regular readers but this book seriously raises the bar very very high. It is really not fair to classify this book simply as a book about booze only. It is an amazingly well executed book about a nation's drinking culture and the history and passion behind it which also serves a perfect traveler's companion with tons of valuable practical information. Chris Bunting is the brain behind the amazing Japanase whisky blog Nonjatta and is one of the whisky bloggers around who inspired me years ago to blog about whisky. 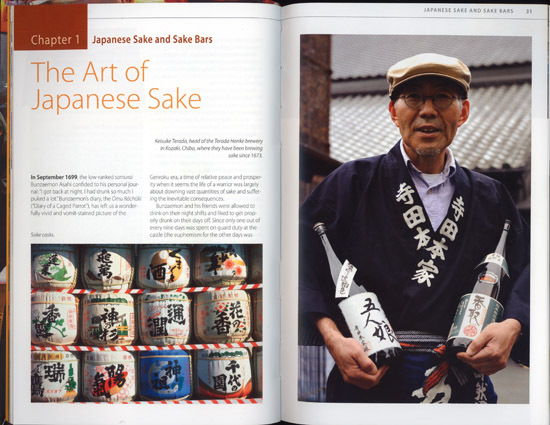 He did such an outstanding job again with this book covering all the social and historic aspects of Japanese drinking culture in a beautiful layout. You basically learn everything you would like to know about sake, shochu, awamori, Japanese beer, Japanese whisky and the rich social history developed around these drinks. The chapters are carefully organized with gorgeous photographs, quick guides, lists and interviews. We learn everything about country's world famous drinking establishments, where to find them, how to choose them and how to enjoy them. Chris Bunting's point of view as a westerner with his profound knowledge as a long time resident of Japan makes the book incredibly approachable and useful. I was also very impressed how he managed to give so much information with all these beautiful photographs in such a compact, easy and entertaining format. I am afraid that I will be comparing any other book written about spirits with Drinking Japan from now on. It is a must read not only for spirit lovers but for everybody who is interested in Japanese culture or planning to visit Japan and is a great reference book to keep somewhere near your spirits cabinet all the time.